Giovanni Carmanillo first appears in the Painesville, Ohio, area in 1917 when he registered for the draft for World War One. Giovanni Carmanillo was born on October 17, 1888, at Boiano, Italy. 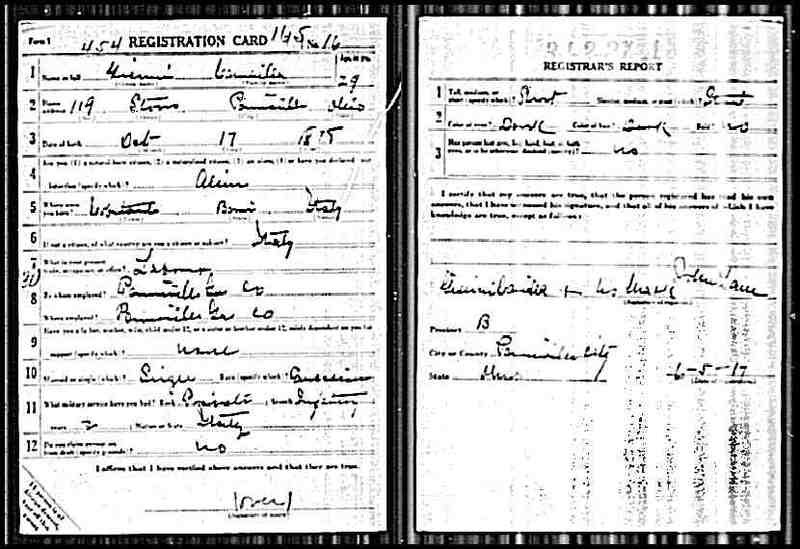 He registered for the draft for World War I on June 5, 1917. He was living at 119 Storrs Street, Painesville, Lake County, Ohio. Giovanni was a laborer working for the Painesville Gas Company.